June | 2015 | Broomsticked The Life and Times of a Real Witch. Agrimony, My new friend for comedians in pain. So …Miss I have my own standard herbs I never stray from, stubborn witch. …. Was introduced to a new one from a dear friend of mine yesterday. It was labeled as protective and to chase away bad juju, When holding it and smelling it I experienced this very sudden mood change after a pretty dark long day. I looked up more info on it tonight as it seemed to be the smell that affected me most. The following is from a Bach Healing site and wasn’t what I expected to find, but man it hit the nail on the head and explained the healing I felt. For those who deal with people like me , and other Virgos, I’m betting could relate. is the remedy for people who keep their troubles hidden under a mask of pleasure and happiness. The sad clown masking inner hurt by being the life and soul of the party is an Agrimony archetype. Friends are often the last to know that anything is wrong in the Agrimony person’s life. 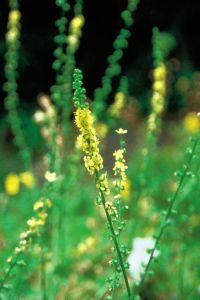 Sometimes Agrimony people turn to drink or drugs to help them stay ‘happy’. They tend not to like being alone: the mask slips when there is no company. They seek out friends, parties and bright lights. Only at night when they are alone with their thoughts will the mental torture they have repressed come back to haunt them. considered very good friends to know. They often take alcohol or drugs in excess, to stimulate themselves and help themselves bear their trials with cheerfulness. When Witches get the blues. Even the long time witches among us can experience the blues. You loose interest in self care, herbals don’t excite you. 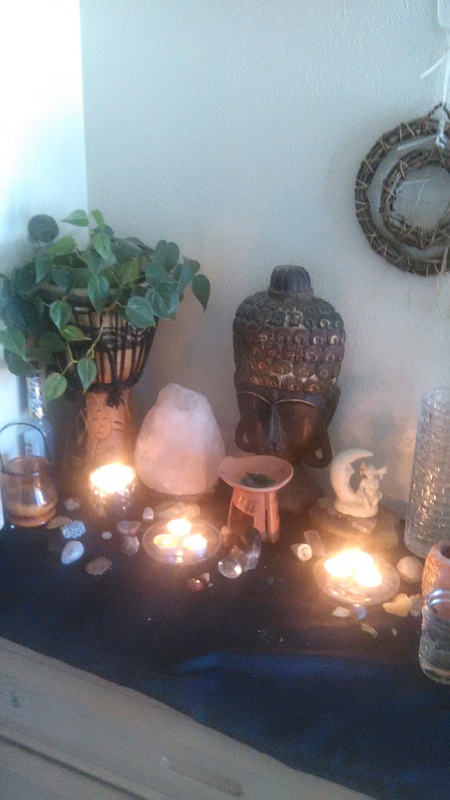 You know the spell work, meditation, music therapy you usually use to change things around is right there around the house for your disposal but you just don’t seem to be able to pull it off. Your tired and burned out and just can’t find your juju. First of all know it’s ok. It’s perfectly normal and common and part of being human. My favorite way too pull out of this is the 13 second focus. Pick one thing your grateful for, and for 13 seconds try to focus on it. Just one thing for 13 seconds. If you can do that a few times a day I find it one of the easiest ways to get your groove back. Try it, see where it takes you! Please read the FAQ listed at the bottom of this menu before purchase! Draw Ideal Lover, Soul Mate. The I’m sick of being single spell. For adding more sweetness and sugar to a relationship. The Spice it up, Red Hot. Revives Lost Passion in a relationship. Puts you in as many of their night time dreams as possible. Talk to me more. When your craving more verbal intimacy from your quiet partner. When you can’t be together it helps seal your love. Protection, Run Devil Run with Heaps of Good Luck. Business Boomer a money spell specialized for Business Owners. Specialized for games of chance. I need your full name and birth date and for love spells the target’s full name and birthdate when known. If not known please include a statement stating the target is over 18. I do not use photos. I have been casting spells for over 20 years. I don’t do anything for 20 years unless I’ve seen enough excitement and miracles to keep my focus on doing it. The practice of spell casting reminds us that while we can control nothing, we can influence everything – and sometimes our influence is greater than we think. Most fail because the purchaser was loopy as hell mentally or trying to force another person into a zombie love slave. You can’t force love, you can enhance and increase what is there, but it can’t be forced. Your sanity in choosing a spell to be cast ,directly affects your spells success rate way more so then anything I do ..please keep that in mind! My general rule of thumb to judge the success of a spell is give it 100 days for peak results . It could peak sooner but over all that’s a basic time frame. And at these prices can not do free recasts. expert, doctor, financial planner or lawyer. I cast spells, that is what I do. 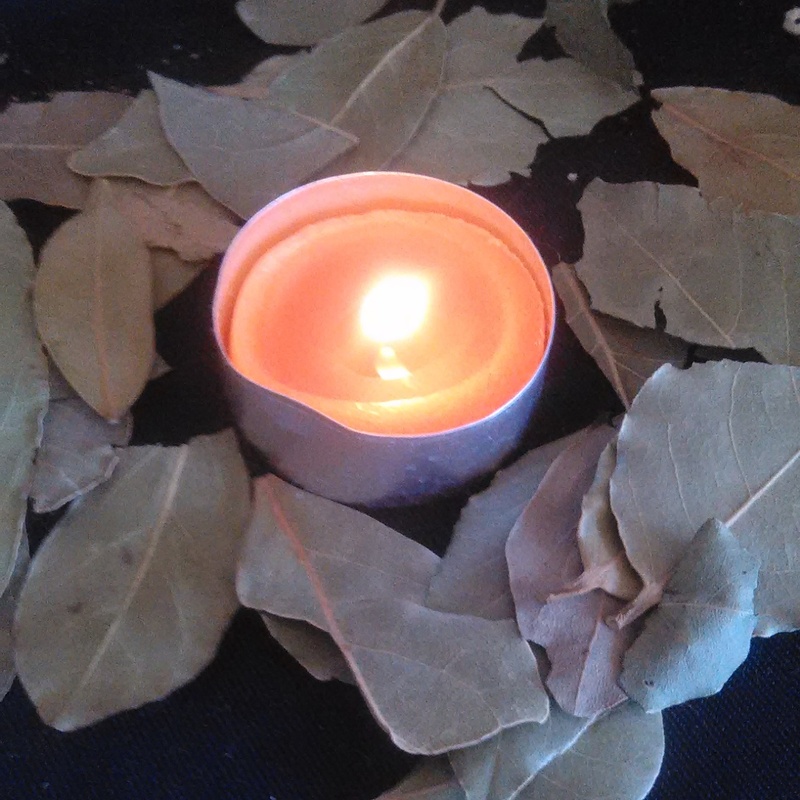 Nine Wishes on the New Moon Spell. Such a easy but powerful New Moon Spell. Go to the store and get a bottle of Bay Leaves ( full leaves, found at any grocery shop in spice isle) Write 9 wishes, one per leaf on the leaves. Bless them each with a kiss and thank you to the Universe, Higher self, Goddess or God of choice. Bury them in grass or under a tree etc near your home or special spot under the New Moon. I charge 9.99 to do this for those too busy to do so. But it is a very easy one you can do yourself! So give it a try!! Etsy banned the sales of spell casting services. So last week Etsy suspended my shop Broomsticked on Etsy and banned spell casting services. I have re opened since being suspended and am doing approved psychic readings there. Psychic Shop on Etsy. Meanwhile I am still doing spell castings, just get in touch with me personally at the shop link above! 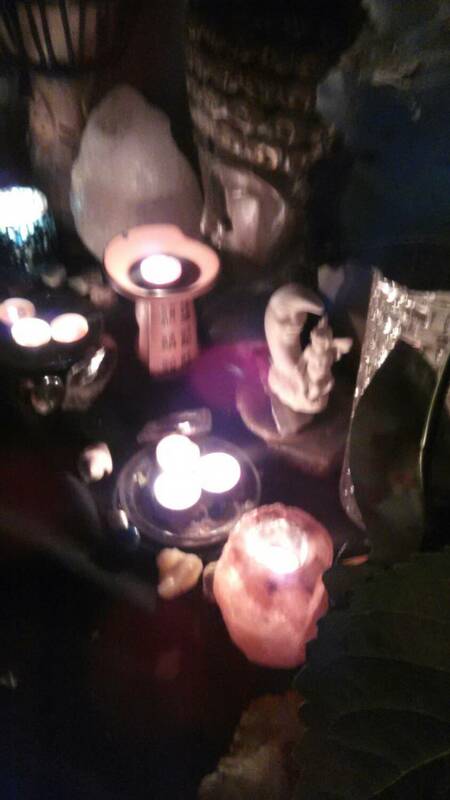 I opened a whole new shop on Artfire, please visit for new special on both spell castings and tarot readings! Thank you so much , Blessings to all!